A 5-floor visual arts center promoting excellence, experimentation, and education in all forms of contemporary art. November-April: Tuesday-Thursday, 11AM-5PM and Friday-Saturday, 11AM-8PM. Dusty Boynton merges past memory and personal experience to create works that are seemingly child-like in appearance but sophisticated in gesture and expression. 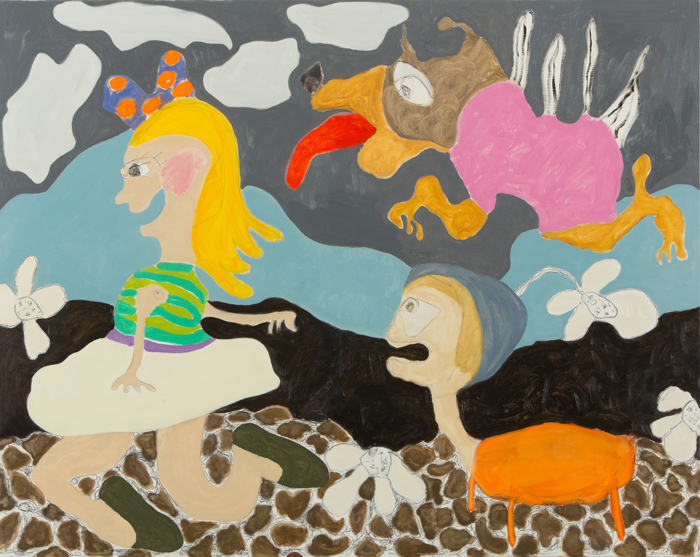 Drawing from her inner subconscious world, the artist’s cast of characters rejects conventional representation and inhabit a fantastic world of their own. Boynton’s expressive brushstrokes, vibrant color palette, and supernatural imagery give her compositions a carefree and imaginative innocence. Dusty Boynton’s exhibition for BCA Center features large-scale paintings, monoprints, and reliefs created over the past decade. With an artistic career spanning more than five decades, artist and educator Edwin Owre works continuously in his Grand Isle studio creating new, colorful “constructions” that explore the possibilities of drawing and the gesture through abstract sculpture. 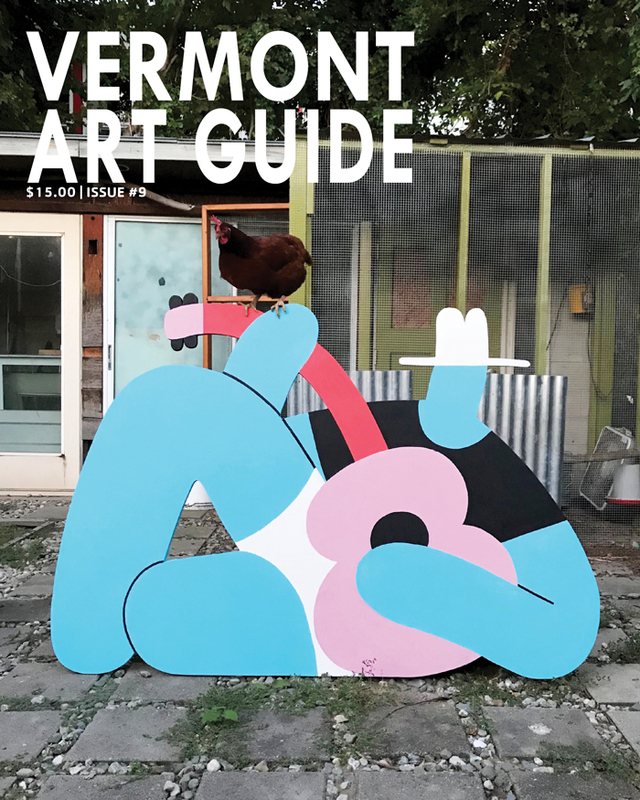 Referencing the sensibilities of the formative American art movements of the 1960s and 70s, while embracing contemporary expressions of mark-making, Owre creates work that is exciting, immediate, and most importantly formative to a generation of Vermont-based contemporary artists working today. Elise Whittemore, BCA’s 2017 Barbara Smail award-winner, has made important contributions to the vibrancy and excellence of Vermont’s arts community as an artist and arts advocate. In her beautifully designed prints, Whittemore is drawn to the physical labor of art making and how it challenges her to pursue different ways hand and material can create meaning together. 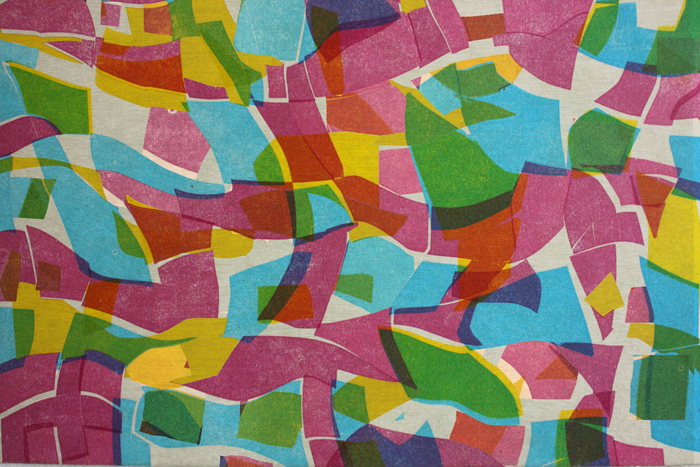 The artist’s use of pattern develops a narrative that explores the physicality of printmaking as well as formal constructs that are inherent to the natural world. “Of Land and Local” celebrates its fifth year at the BCA Center and Shelburne Farms. Sixteen new and returning artists further explore the 2016 watershed focus, bringing a fresh perspective to this important topic. 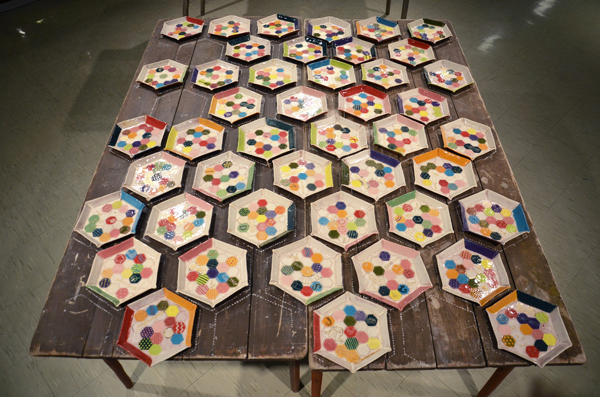 The exhibit explores how issues relating to the watershed fit within a domestic and global context. Themes investigate ideas of place, conservation, commodification, and water’s cultural role within our community. 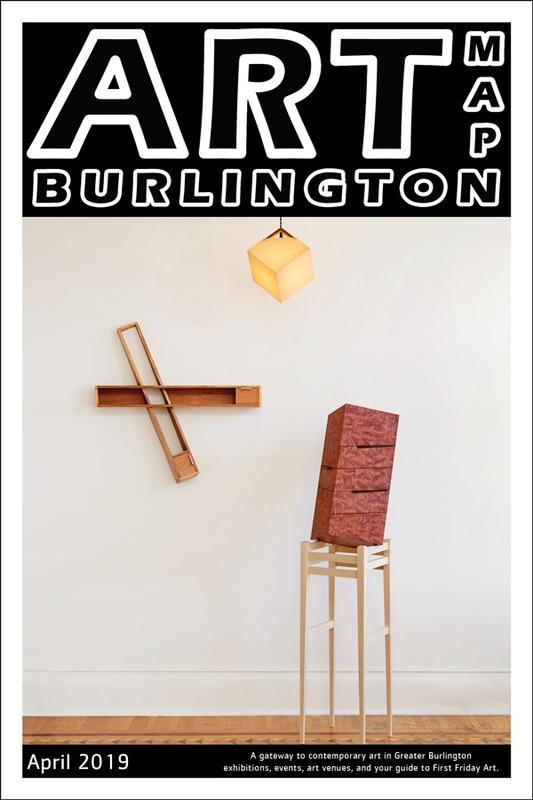 Exhibiting artists: Charlie Bluett, Brian Collier, Georgie Friedman, Hope Ginsburg, Rebecca Hutchinson, Elliott Katz, Katie Loesel, Elizabeth Nelson, Don Ross, James Scheuren, Jessica Scriver, Lynn Sullivan, Naoe Suzuki, John Willis, Nancy Winship Milliken, and Mary Zompetti. “Vibrant Vermont” celebrates the profound relationship that exists between Vermont landscape painters and their subject. Each artist uses a different style to express the dynamic beauty of the place they call home. Working with varying levels of representation and abstraction, these artists often reference familiar themes to convey an intimate sense of place. Symbols and icons of rural life–common sights in the current landscape–evoke the nostalgia of a bygone era. 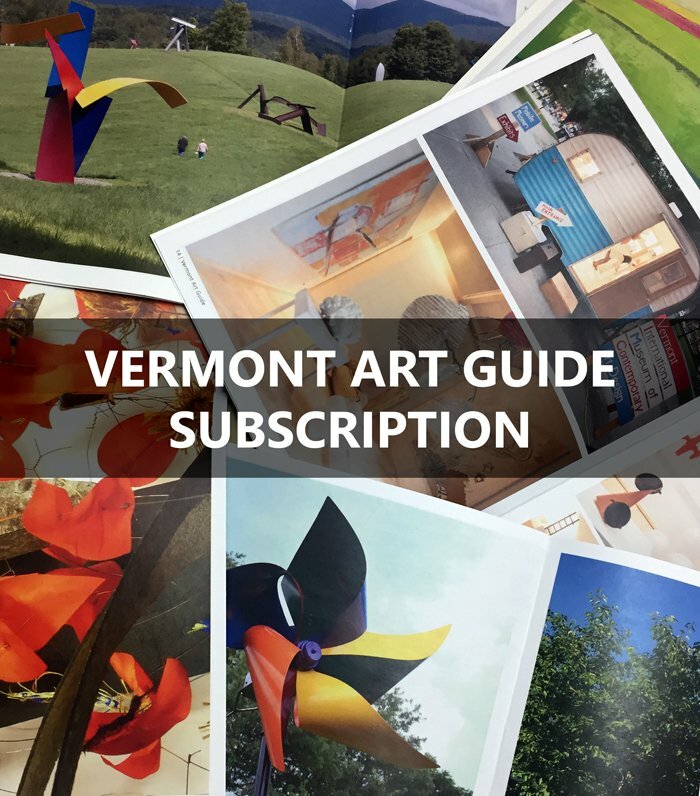 Strongly rooted in tradition, yet reflective of present surroundings, these artists pay homage to the timeless essence of Vermont. 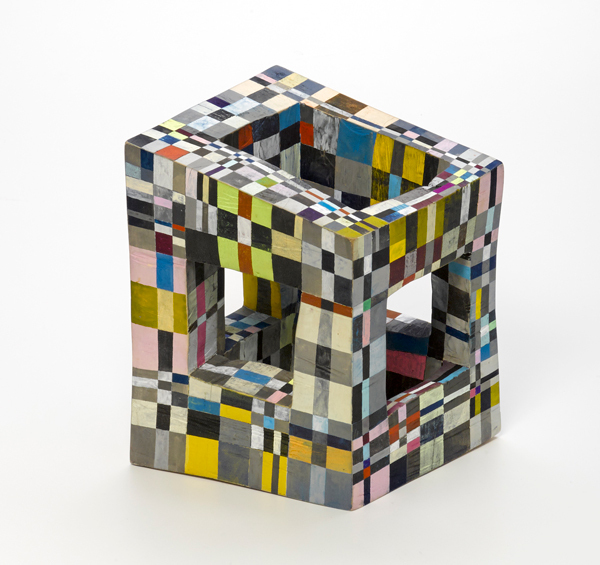 Questioning our perceptions of others and ourselves, Dave Kennedy creates striking installations comprised of photocopies, constructions, and cast-off materials. Kennedy engages viewers with seemingly mundane imagery that is both playful and visually deceptive. For his installation A Stranger Stands Here, Kennedy reimagines the neglected back alleys and building remnants of derelict, urban spaces as metaphors for overcoming “otherness.” Drawing upon themes of race, ethnicity and stereotypes, the artist questions our attempts to simply categorize and objectify identity through a single perspective or outward appearance. “Ready. Fire! Aim.” is a joint exhibition that takes place at the Hall Art Foundation in Reading (May 6–November 26, 2017) and at the BCA Center (April 21–July 9, 2017). Inspired by Andy and Christine Hall’s art collecting philosophy, this group show explores the psychology of impulsive action and strategic thinking. Using the creative process as a point of departure, “Ready. Fire! Aim.” brings together artworks addressing issues of violence and decay, gestural abstraction and linear precision, as well as the sensible and the absurd. 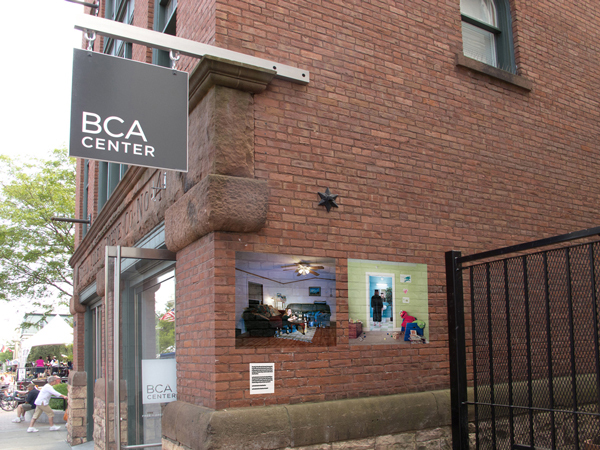 BCA Center’s presentation includes work by six emerging to nationally recognized Vermont-based artists, while the Hall Art Foundation’s presentation will feature a selection of paintings, sculptures, and photographs by internationally recognized contemporary artists. “Ready. Fire! 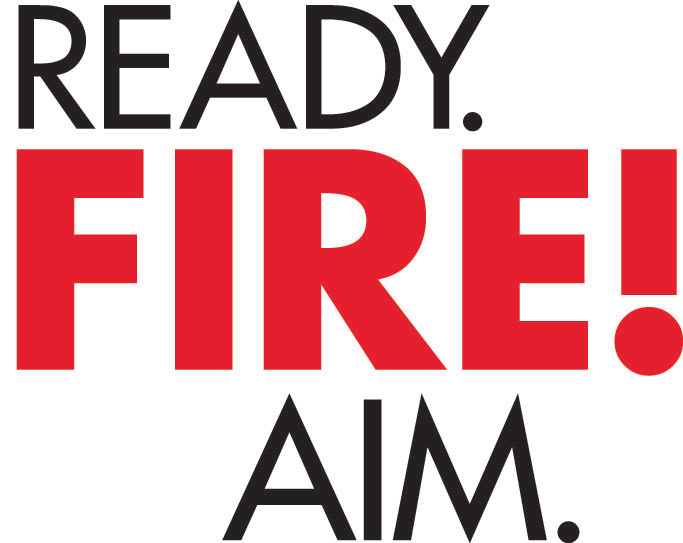 Aim.” is a collaboration between the Hall Art Foundation and Burlington City Arts and is curated by DJ Hellerman. UVM graduate and former BCA artist-in-residence returns to Burlington following his MFA at the Maryland Institute College of Art in this solo exhibition of large scale abstract paintings. Stark and intricate, two dimensional but textural, monochromatic yet secretly colorful, Justin’s work is filled with contradictions. He capitalizes on these tensions through his laborious process in which he is both creator and destroyer. By adding and skillfully unearthing the multi layers of paint Justin creates impressive work that captivates and disorients. “The Past Present” is a two-person exhibition that uses metaphorical objects to explore our humanity and unpack our relationship to the past. Athena Petra Tasiopoulos reinvents forgotten antique portraits allowing haunting new identities to emerge which transcend time and connect us to a forgotten medium. 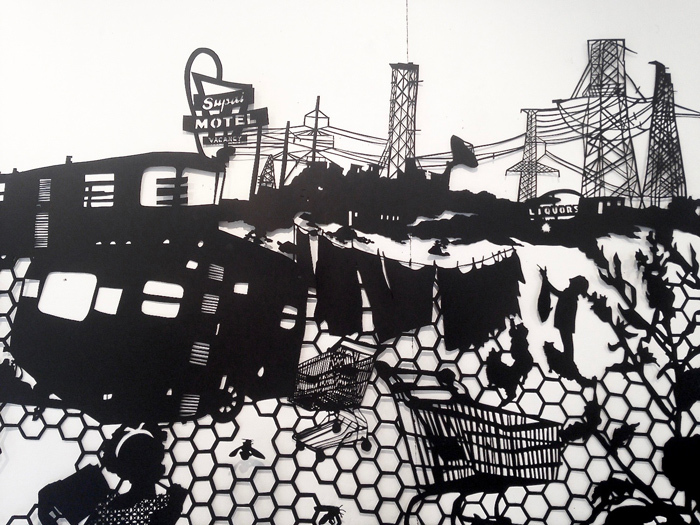 Molly Bosley’s delicate narrative driven papercuts explore common discarded artifacts and the deterioration of American culture. Both artists skillfully connect us to the past and comment on our present by using familiar yet meaningful objects in which we have shared history and dialogue. 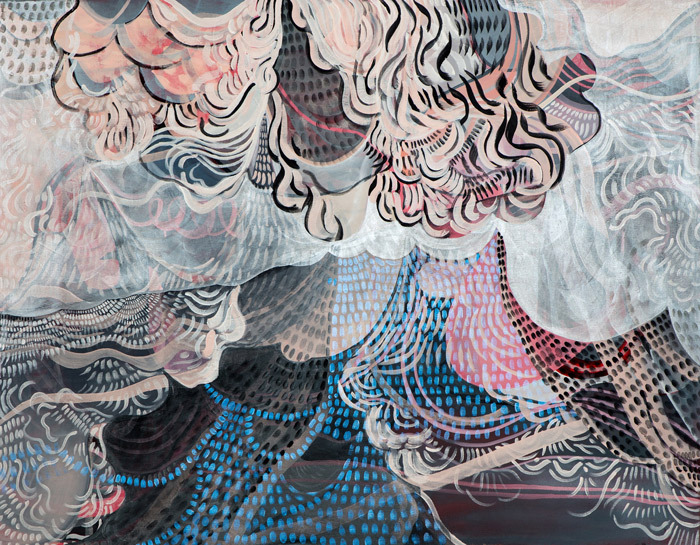 “With My Voice, I Am Calling You Home” presents a new body of work by Vermont-based artist Wylie Sofia Garcia, whose richly patterned paintings and lenticular prints embody themes of domesticity, meditation, and personal place making. 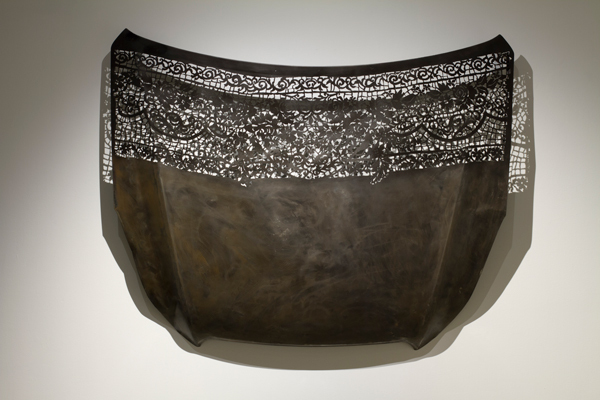 Garcia’s allover compositions and veiled imagery draw upon ideas of feminine domesticity and traditional handicraft. Embroidery stitches, elegant lace, and lush fabrics are reinterpreted in two-dimensional form as layered hash marks and decorative, overlapping patterns that work in counterpoint between surface and depth, revelation and concealment. The artist’s paintings are as much a meditative practice and time of reflection as they are a creative endeavor. Through the daily ritual of art making, Garcia sorts and creates space for the thoughts, preoccupations, and activities of her day. Imbued with emotional connotations, these artworks and moments create a physical and metaphorical place for Garcia–a space to embrace her roles as an artist, wife, and mother–and a place of familiar, everyday comforts where one can call home. 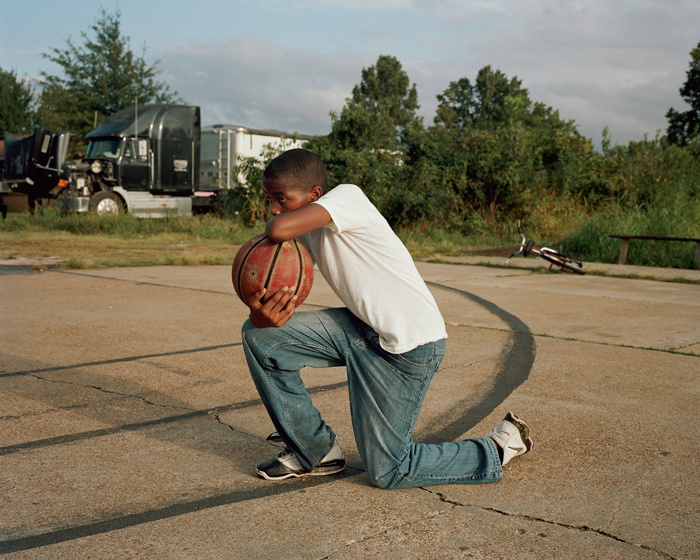 “One Sun, One Shadow” is a sweeping photographic portrayal of the American South. Photographer Shane Lavalette, a native Vermonter, approached his documentation of the South through the lens of the region’s traditional music. Echoes of bluegrass, country, gospel, rock’n’roll, and the blues emerge as oral histories in the artist’s images. Lavalette’s focus on music as storytelling instills an idyllic quality in his photographs that offers perspective on the sight, sound, and feelings of a particular place and time. The resulting photographs are a genuine connection to a region and its people. “One Sun, One Shadow” offers insight into the character of the contemporary South, nods to its traditions, and takes us on a lyrical journey through a landscape that in many ways does not feel so unfamiliar from our own. 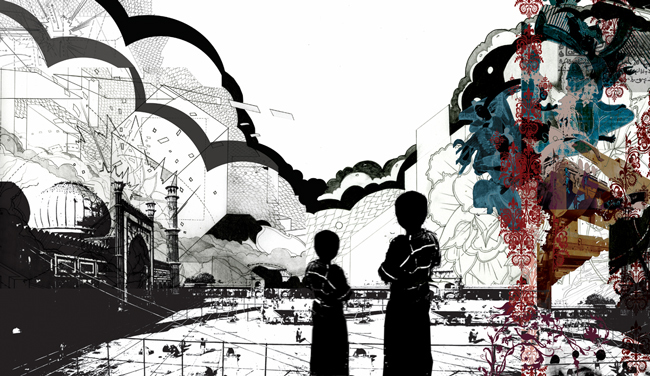 “One Sun, One Shadow” was originally commissioned by the High Museum of Art in Atlanta, Georgia. The artist would like to thank Light Work Lab for their support on this project. Water, as both ecological fact and metaphor, is the subject of this year’s ongoing partnership between Shelburne Farms and Burlington City Arts. 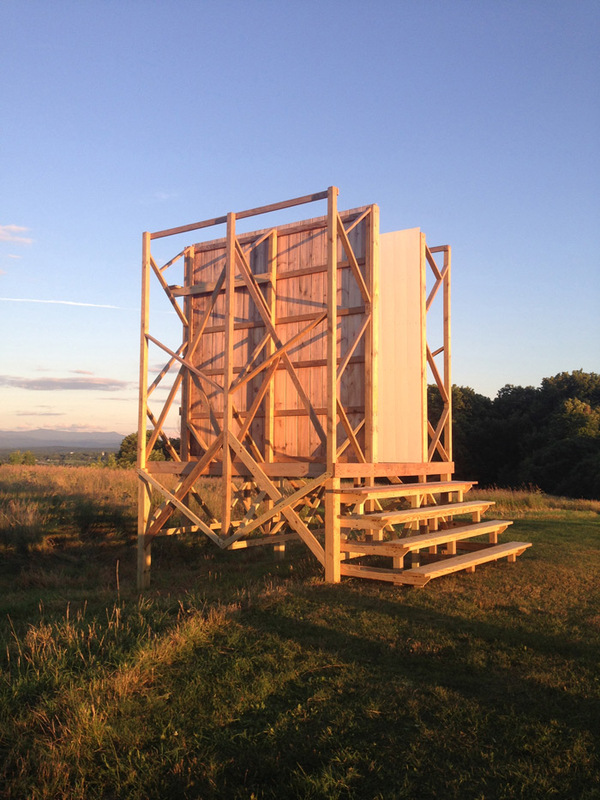 “Of Land & Local: Watershed” supports artist led conversations about issues impacting the Vermont landscape, culminating in exhibitions at both locations. 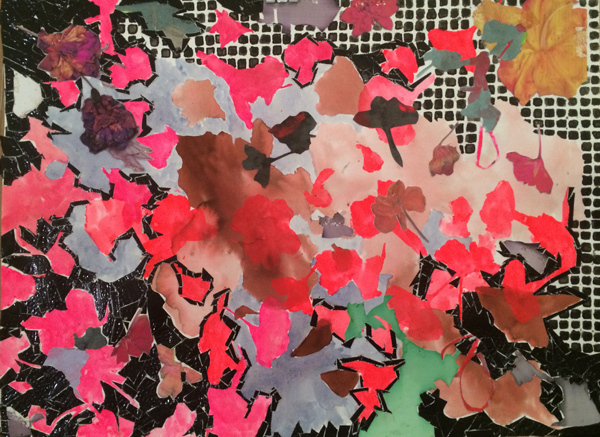 First, Second, and Fourth Floors: Taking advantage of the diverse range of artistic practices that visit Vermont each summer through BCA’s Seven Below artist residency program, this exhibition transforms the gallery into a space of constant flux. Three former artists-in-residence have been invited back to Vermont to participate in the exhibition, which will feature a total of 11 former residents. The three artists-in-residence, Thu Kim Vu, Meghan Gordon (working in collaboration with Cortney Andrews) and Rob Swainston have been charged with installing, reinstalling, adding to, reducing, or removing their work from the space throughout the course of the exhibition. As a way to create sustained, public dialogue with artists about their practice, “Fixed/Fluxed” de-emphasizes the gallery space as a place for fixed, final products, and repositions it as a place for transitory work and evolving ideas. The exhibition also features short films by Haisi Hu (image above), Jonathan Monaghan, Willy Somma, Shane Morrissey, Jessica Segall and Oscar Santillan, and Vermont artist and former Seven Below Resident Sage Lewis will be exhibiting in the Vermont Metro Gallery. The Seven Below Arts Initiative was established to provide artists practicing eclectic and emerging art forms with support to make art, and to enrich the Vermont community through the arts. The Seven Below artist residency, facilitated by BCA, brings up to six artists per season to live and create art at The Barn, a uniquely restored property on 65 acres offering magnificent views of Mt. Mansfield and the Green Mountains. The 200-year-old Alan Irish Barn was reconstructed in 1996 and served as the recording and rehearsal facility for Phish, Trey Anastasio, and other musicians. 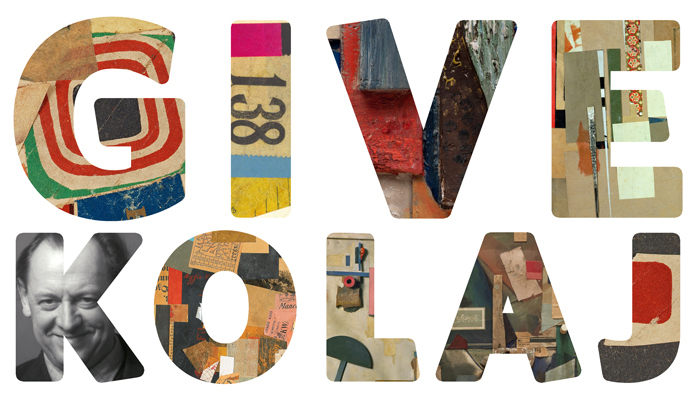 Residents are selected from a diverse range of local, national and international applicants, and are each provided with a $2,000 materials and living stipend to help support the creation of new work. 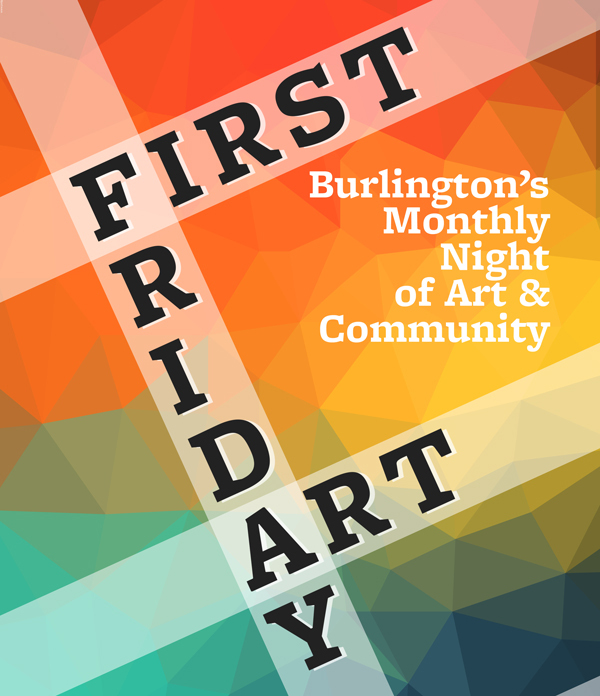 Since 2006, Seven Below has granted more than 50 artist residency opportunities, presented numerous public lectures and art exhibitions, and has formed a critical arts dialogue between local arts educators, students, artists, and the greater Burlington community. In honor of Seven Below’s ten-year anniversary, “Fixed/Fluxed” is dedicated to the memory of Kristy Manning, visionary and founding director of the Seven Below Arts initiative. Josef Albers (1888-1976) was a vanguard of twentieth-century modernism and an influential teacher, writer, painter, and color theorist. Presented in conjunction with AIGA Vermont Design Week, this exhibition features vivid examples of Albers’ print and graphic work as well as related ephemera, and includes original screenprints from his seminal 1963 publication, Interaction of Color. Sponsored by RouthierHolmes, llc, AIGA Vermont Design Week, and Dostie Bros. Frame Shop. 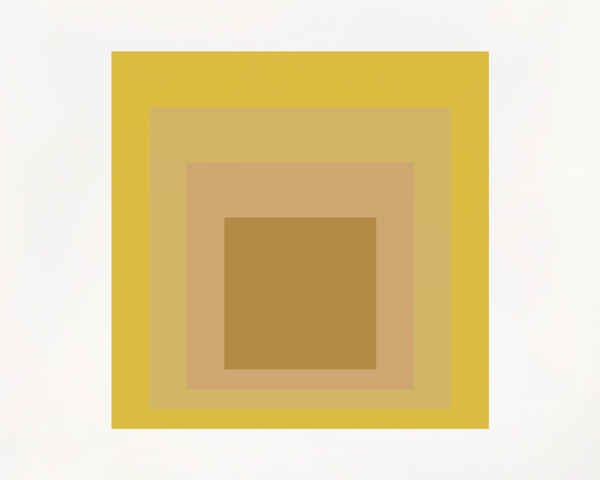 (image: Allusive by Josef Albers (1965), image courtesy of the Routhier Collection).